Digital Subscriber Line technology offers high-speed internet service for homes and businesses that competes with cable and other forms of broadband Internet. DSL provides high-speed networking over ordinary phone lines using broadband modem technology. The technology behind DSL means your network and telephone service share the same phone line without disrupting either your voice or network connections. Basic DSL supports maximum download data rates ranging between 1.544 Mbps and 8.448 Mbps. Actual speeds vary in practice depending on the quality of the copper phone line installation involved and the length of the phone line needed to reach the service provider's premise equipment (sometimes generically called the "central office"). Most types of DSL service are asymmetric — also known as ADSL. ADSL offers higher download speeds than upload speeds, a tradeoff that most residential providers make to better match up with the needs of typical households who generally do much more downloading. Symmetric DSL maintains equal data rates for both uploads and downloads. Well-known DSL providers in the United States include AT&T (Uverse), Verizon, and Frontier Communications. Many smaller regional providers also offer DSL. Customers subscribe to a DSL service plan and pay a monthly or yearly subscription and must also agree to the provider's terms of service. Most providers supply compatible DSL modem hardware to their customers if needed, although the hardware is generally available through retailers. DSL service only works over a limited physical distance and remains unavailable in many areas where the local telephone infrastructure does not support DSL technology. 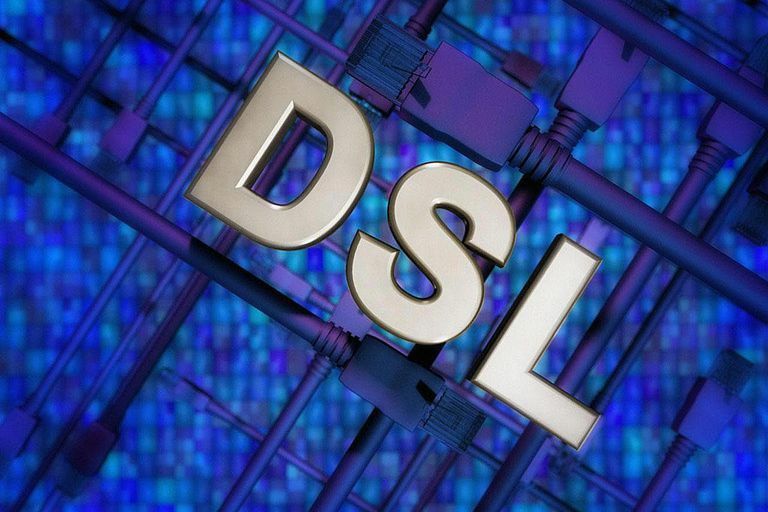 Although DSL has been a mainstream type of internet service for many years, the experience of individual customers can vary greatly depending on their location, their provider, the quality of telephone wiring in their residence, and some other technical factors. As with other forms of internet service, the cost of DSL varies from region to region. An area with few providers may be more costly because of the lack of competition. DSL does not perform nearly as fast as fiber internet connections. Even some high-speed wireless options can offer competitive speeds. Because DSL lines use the same copper wire as wired telephone service, all wired phones in the home or business must use special filters that connect in between the phone and the wall jack. If these filters aren't used, the DSL connection may be adversely affected.